Broadband routers support many settings for people configuring their home networks. Among all of the available options and parameters, router administrators will tend to work with certain ones regularly while rarely if ever looking at others. These router settings are essential to installing and maintaining home networks. A router uses standard default values for its Wi-Fi wireless radio settings. Wi-Fi mode controls which variations of possible wireless protocols a router will support. For example, an 802.11g-capable router can be configured to disable any backward compatibility support for 802.11b to improve performance or reliability, or enable proprietary "speed boost" or "extended range" features, even though by default these options are turned off. Wi-Fi mode is controlled by either one setting or multiple settings depending on the model of router. The Wi-Fi channel number controls which frequency band a wireless router uses for radio communication. Standard Wi-Fi channel numbers in the U.S. and many other countries range between 1 and 11. 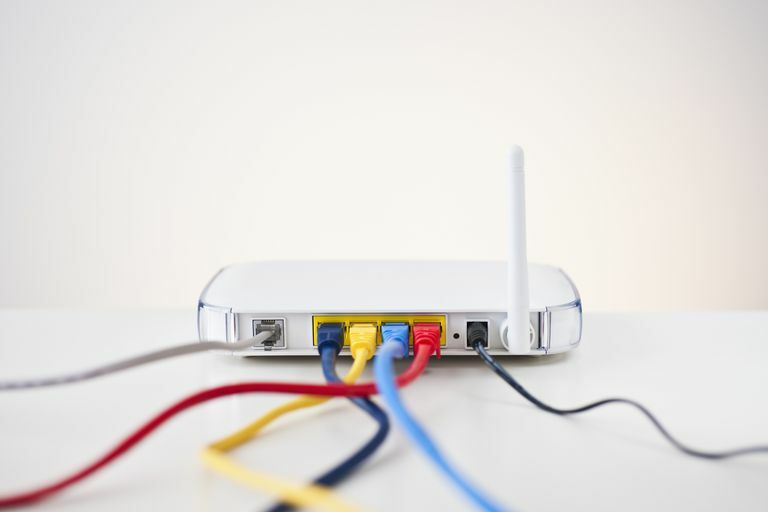 Broadband routers typically default to either channels 1, 6, or 11, but this setting can be changed as a way to work around signal interference issues in or around a home. Wireless devices find and identify a router by its Service Set Identifier (SSID), sometimes also called "router name" or "wireless network name" on consoles. Routers come pre-configured with a generic SSID like "wireless", or the name of a vendor. The SSID can be changed to avoid conflicts with other wireless networks and also to enhance security. All broadband routers support a group of settings for configuring the home Internet connection via an attached broadband modem. The specific names of these settings as shown on an administrator console vary between router models. Internet connection type: Home routers support all popular types of broadband Internet service. Most routers provide a list of Internet connection types and require an administrator to select the one that applies to their network. Most types of connections listed in the router's menu are named according to the underlying Internet network protocol technology rather than the name of the service provider company involved. Typical choices for Internet connection type on a router include "dynamic IP" (DHCP), "static IP," PPPoE. PPTP and "L2TP." Internet username and password: Some Internet providers including those for Digital Subscriber Line (DSL) issue an account name and password to their subscribers. These settings must be entered into the router's console in order for it to support the modem. MTU: In a nutshell, the Maximum Transmission Unit (MTU) setting refers to the largest number of bytes a single physical unit of network traffic can contain. Routers set this value to any of several default numbers like 1400, 1460, 1492 or 1500 attempting to match the standard values for a given Internet connection type. However, in some cases, the Internet provider's network may require a different number. Using a mismatched value can cause serious technical difficulties on a home network including timeouts when trying to visit websites, so this number should be set according to direction from the service provider. To simplify installation, most routers have some essential network security features shut off by default. The router's administrator password should be changed immediately, as the default values (like "admin" or "password") of all models are well-known to hackers. When configured wireless networking, the Wi-Fi security mode and Wi-Fi encryption and authentication settings ensure data traveling over the wireless links has proper security protection. Depending on the security mode chosen (for example, WPA) additional settings for wireless keys and/or passphrases apply.